Craftster Community > MISCELLANEOUS TOPICS > Miscellaneous Featured Artist, PerfectlyBohemian! We've long admired PerfectlyBohemian's gorgeous nature-inspired creations here and are thrilled to recognize her as our latest featured artist for the Miscellaneous category! How long have you been crafting? What's the first thing you remember crafting? I've been making art since I was 10 years old. That is probably also the same age I was when my childhood neighbor started teaching me about sewing. I remember the first projects she worked with me on were making pajama shorts with plaid seersucker in bright colors. What's your favorite media to work with? My favorite media changes almost yearly. Some of my favorites still are fabric, wool roving, and lately, yarn. Nature is my biggest inspiration. I love being outside, watching for birds and other animals, and . My favorite craft themes usually incorporate elements of nature. Do you have a creative philosophy? Don't spend too much time striving for perfection. Focus more on pouring your love and care into a project (and getting it done before that birthday, holiday, deadline, etc. ). A minor flaw will only serve to remind people that your craft is handmade, and truly appreciative people, will never be bothered by it. I don't consider them to be my master pieces, but when I made them, that's when I really started crafting outside the box. I'm also really proud of the diaper bag I made for a cousin in 2011. Again, not a masterpiece, but that's when I started paying more attention to details in sewing, like top-stitching. People even thought it was store bought - I still haven't decided if that is an insult or a complement. Also, sadly, that bag was stolen from my cousin. 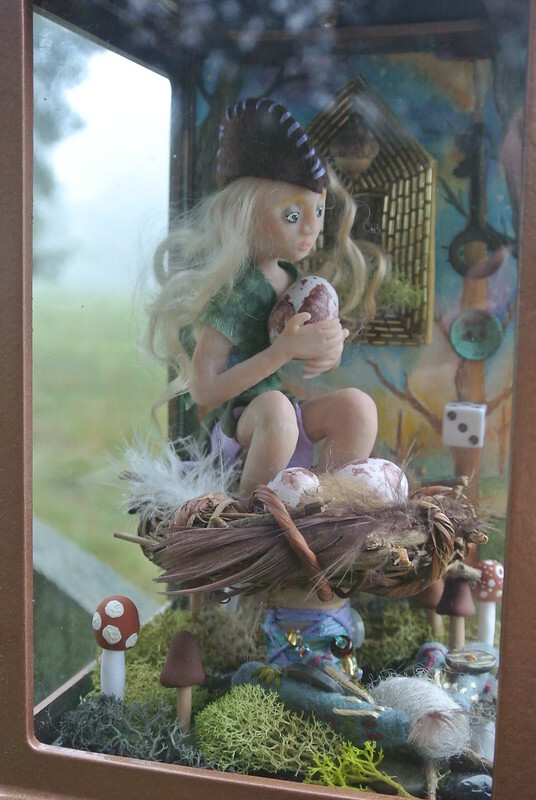 My most recent favorite though is Mr. Hare that I made for Cackle in the IYP swap. 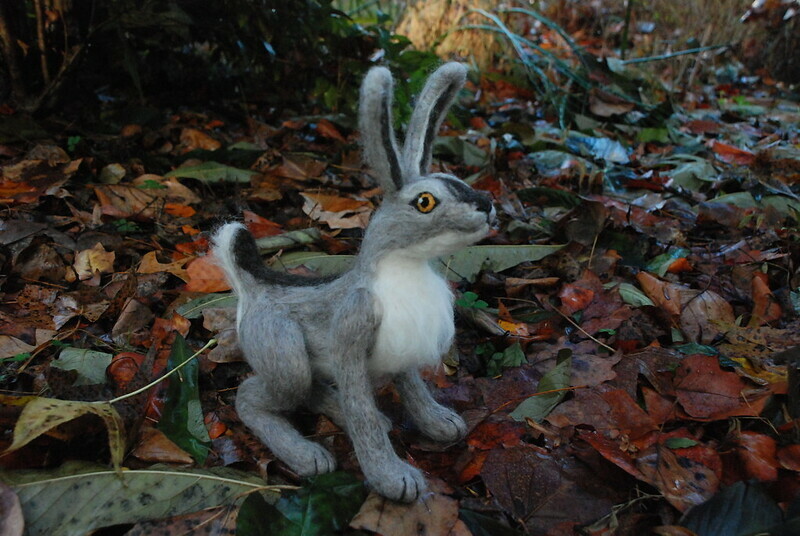 He's a nearly life-sized posable critter that I needle-felted to life. I just wanted to play with him in the woods, taking a bunch of pictures, but alas, he had to go to his forever home with someone else . 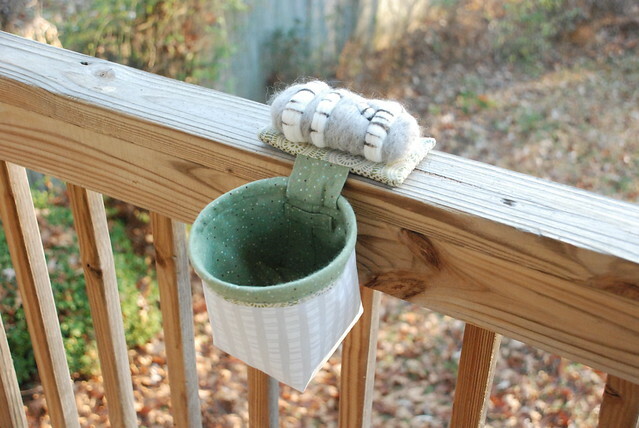 On what other Craftster boards can we find items that you've posted? Needlework; Fiber Arts; Knitting; Purses/Bags/Wallets; Home Sweet Home; Toys, Dolls and Playthings; Paper Crafts; Image Reproduction Techniques; More art, less craft; and probably a few others. Tell us more about your username! : In middle school I used to watch lots of movies with my best friend, and our most favorite was Moulin Rouge. We watched that thing so many dang times that we could probably have performed the movie ourselves back then. One of the themes of the movie was Bohemian ideals, and as an young, aspiring artist, I wanted to be "Bohemian" - of course, not the kind that is literally a person from Bohemia; we are talking about the unconventional artist. The Bohemians in Moulin Rouge just wanted to make art and write and not be held down by the fancy, rich people. The funny thing about being "perfectly" Bohemian, is that there's nothing really perfect about being unconventional, now is there? So any Bohemian can be perfectly Bohemian. Re: Miscellaneous Featured Artist, PerfectlyBohemian! Congrats, PerfectlyBohemian! I've always enjoyed your work, and I loved reading about some of your favorite projects. Very nice to get to know you better. I've also always enjoyed seeing your projects. The fox pillow is by far a fav. Thanks for sharing a little bit about yourself and a few of your favorite projects. You work is always inspiring! Congratulations! You're a terrific craftster, and I love seeing your work.